Get $5 off your order of $50 with the promo code GA5867! The Beatles Collection by Cutie Pie Kids – up to 60% off | Event ends 11/11 – Lucy in the sky with t-shirts. Your little cool cats won’t need Help! looking nostalgically sweet and Oh! Darling in these vintage Beatles tops that’ll make any outfit Come Together perfectly. Disney It’s a Small World – up to 50% off | Event ends 11/11 – A wish come true. Celebrating Disney’s most popular theme-park ride, this whimsical selection of sets and basics don’t require a height limit to enjoy. Holiday Lane: Home Décor – up to 55% off | Event ends 11/11 – Evergreen Christmas. Glittering ornaments, pine cone wreaths and gorgeous garlands will wrap your home in holiday splendor. Levi’s – up to 65% off | Event ends 11/11 – From cowgirls to catwalks. If there’s one brand that knows how to make rugged clothes for kids, it’s Levi’s. These stylish tops, hoodies and trademark jeans will handle all that winter has in store. Mud Pie – up to 60% off | Event ends 11/11 – Babe in the goods. This collection of cute sock sets, unique layettes, piggy banks and fun knick-knacks will help liven up the indoor days. cachcach – up to 50% off | Event ends 11/11 – Sweet snapshot. Combining velvet, lace and chenille with floral fabric appliques, these lovable tunic sets and dresses are perfect for family get-togethers. Scandinavian Child – up to 40% off | Event ends 11/11 – Sleek design. Select beautifully designed convertible child carriers, an adjustable high chair and a modern night light for a little Scandinavian simplicity. 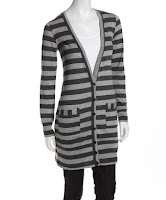 Girl Friends by Anita G. – up to 55% off | Event ends 11/11 – Mix-and-match maven. All the delicious sherbet colors and pretty prints of Candyland are right here in this sweet selection of smocked sets and swing dresses. Mic-O-Mic – up to 50% off | Event ends 11/11 – No hard hats necessary! Watch your little craftsman create their own toy planes, boats and trains with sturdy yet easily assembled sets. 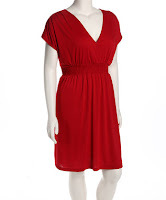 JB Original Vintage – up to 70% off | Event ends 11/11 – Retro roast. No matter the season, no matter the reason—boys need their tees, hoodies and jeans, especially when they’re showcasing vintage designs like these. Totes Outerwear – up to 75% off | Event ends 11/11 – A fresh coat of style. These warm and lively puffer jackets will put the win in your snow bunny’s winter. Mailbox Must Haves – up to 60% off | Event ends 11/9 – Magazine superscriptions. With magazines like Disney Family Fun, Kiwi and Dwell, you’ll have monthly reading material with tips on entertaining the kids and beautifying your home. Canvas Kicks – up to 50% off | Event ends 11/11 – Classic kicks. Those wily whippersnappers will love wearing these classic slip-on sneakers, vintage-looking canvas flats and faux fur booties covered in sequins. Milly & Max – up to 55% off | Event ends 11/11 – A little Bogart and Bacall. Dapper gents and pretty little misses will adore this collection of fedoras, ties, charming headbands and matching father-son accessories. Chicaboo – up to 55% off | Event ends 11/11 – Sculpted from sweetness. Lace petti-rompers and pirouette-worthy pettiskirts plus floral hair clips and headbands are just a taste of the treasures waiting for girls here. Chick Lingo – save $20 | Event ends 11/11 – It’s a sign. Whether you’ve been searching for customized sterling silver jewelry, witty home décor signs or personalized frames, it’s time to enhance your life with these very special items. Lakhays Collection – up to 50% off | Event ends 11/11 – Wild and woolly. These playful crochet knit beanies are guaranteed to keep cute little noggins nestled in warmth. ScienceWiz – up to 40% off | Event ends 11/11 – Magnetizing kits. Grow crystals, build a real radio and extract DNA from a fruit with electrifying kits that’ll get your future Newton excited about science. MOMO Baby – from $9.99 | Event ends 11/11 – Find some solid footing. Pamper your little ones with these cute leather booties and rubber rainboots for puddle-splashing fun. Bouton Kids – up to 70% off | Event ends 11/11 – Vintage threads. Using hand-woven fabrics along with a mother’s intuition on kiddie comfort, these versatile basics for boys and girls are as unique as they are modern. Green Leaf Art – up to 65% off | Event ends 11/11 – Safari adventure. Camels galumph and hot air balloons soar across the sky on ready-to-hang canvases that’ll inspire little ones with imaginative detail. Bird & Vine – up to 55% off | Event ends 11/11 – Velour staycation. As smooth and silky as whipped cream, these velour sweatsuits are perfect for wrapping up in warmth. Elegant tops and cardigans too. Bodywrap – up to 50% off | Event ends 11/11 – Ahead of the curve. Shapewear slips, camisoles and briefs are perfect for smoothing out lines and ensuring a slinky look in your newest dress. REPORT Footwear – up to 60% off | Event ends 11/11 – Head over heels. Meet your match as you sift through these strappy leather heels, fleece-lined boots and pointy-toe flats. Corso Como – up to 50% off | Event ends 11/11 – Watch your step. Everyone will be gazing at your feet when you’re wearing peep-toe pumps, suede boots and ballet flats in all the colors of the rainbow. Select styles for girls too! 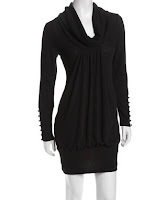 XCVI – up to 60% off | Event ends 11/11 – Flattering fit. These plus-size tops, pants and skirts in muted shades and lovely prints are designed to be as flowy as they are breathable. MeMoi – up to 45% off | Event ends 11/1 – Shake a leg. After putting so much thought into choosing the right outfit, ensure your legs look the part with these dramatically patterned tights and leggings. latchOn – up to 35% off | Event ends 11/11 – Discreet nursing. With this nursing blanket strap showcasing sterling silver-plated clips, you can feed your little one in public with any blanket in your diaper bag. Le Mystère – up to 40% off | Event ends 11/11 – Hot mamas. Lace trim and exotic prints give your nursing bras the va-va-voom they’ve been missing. Don’t forget to get $5 off your order of $50 with the promo code GA5867! Peg Perego Rocky Motorized Rocking Horse Just $74.99! ~ 50% Off! Head on over to Zulily to 50% off Peg Perego’s Rocky Motorized Rocking Horse! Grab this rocking horse for just $74.99! Originally $150.00, this is a steal! This offer is valid through November 5th at 6 am PDT. Long after your little herd wrangler has tired of other toys, they’ll still look forward to saddling up this trusty steed. Equipped with two easy-to-operate buttons, it lets your little darling take the reins and control their play experience. One button starts and stops the rocking horse, while the other initiates music and exciting horse sounds like whinnies or the “clip-clop” of hooves. Rambunctious ranchers love the rocking motion of this battery-powered prancer that keeps them engaged. A wide padded seat, footrests and handles offer them optimal comfort for long days in the saddle. 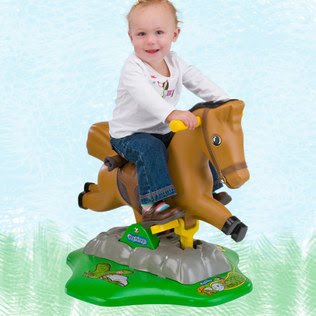 Giddy up into good times with a playful pony for baby buckaroos. 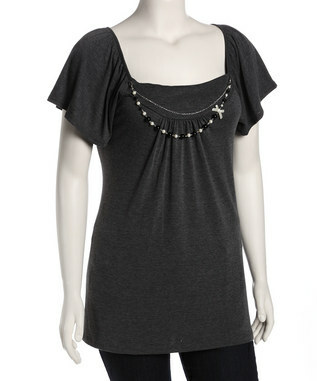 #Save up to 65% off Delirious Women’s & Plus Apparel! Prices Start at $11.99! Head on over to Zulily to receive up to 65% off women’s and plus size apparel from Delirious! Prices start at just $11.99! I have a teal Delirious top that I bought from Nordstrom a few years back that I just love! This offer is valid through November 2nd, at 6 am PDT. If you’re the type of woman who likes to feel comfortable even while looking dressed-up, you’ll love Delirious clothing. Their high-quality pieces manage to look stylish while maintaining simple silhouettes. We love their collection of fashion-forward women’s and plus-sized staples that will never leave you without something fab to wear to any event. 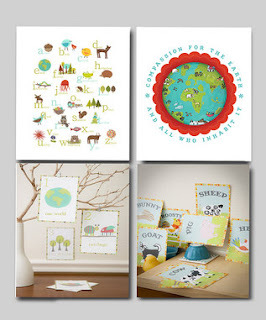 Head on over to Zulily to receive up to 50% off art from Child Inspired Design! Prices start at just $14.99! I love the “My Roots Lie Here” Maryland art piece This offer is valid through November 3rd, at 6 am PDT. Everything from Children Inspire Design is made by artist and social entrepreneur Rebecca Peragine. The brand was born out of her idea to combine her passion for global design with her desire to teach kids. Now, Children Inspire Design is a product line of modern, eco-friendly and culturally diverse wall art, wall cards and posters full of whimsy and compassion.